E20OO, Other Steel String Guitar from Eastman. 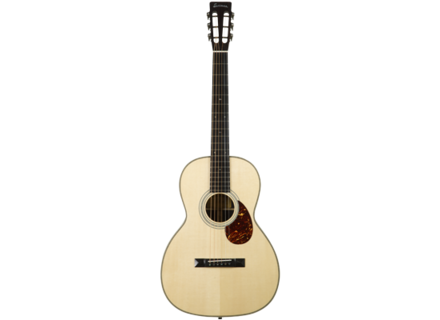 Eastman completes at Summer NAMM 2014 its OO series with two parlor-inspired acoustic guitars. The price of this new Eastman E20OO is $1500. The E10OO-M is available for $1375. [NAMM] Pigtronix updates the Echolution 2 Pigtronix always brings good news to the NAMM Shows : after the release of the Echolution 2 in January, they now update the pedal. [NAMM] The Loar launches the Brownstone guitar The Loar is attending the Summer NAMM 2014 where they showcase their now Small Body LH-204 Brownstone acoustic guitar. A limited edition of the Duesenberg Starplayer III Duesenberg released a very limited edition of its Starplayer III semi-hollow guitar with a Candy Apple Red finish.